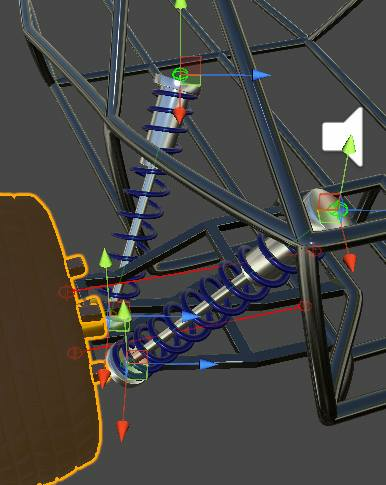 The Suspension Editor is just one of many powerful car configuration tools included to speed up the work flow of adding new cars to your game. The Dynamic Tire System changes properties of the individual tire including friction, color, wetness, particle strength and audio effects, depending on what surface it is currently exposed to. A spline based track mesh editor with automatic terrain conforming makes track creation easy and very quick. A collection of scene view tools assist with adjusting properties such as interpolated guide speed at various points along the track. This video is a quick test I performed during the early stages of developement on the AI systems for this plugin. I'm just getting started on this plugin, there is much more to come.